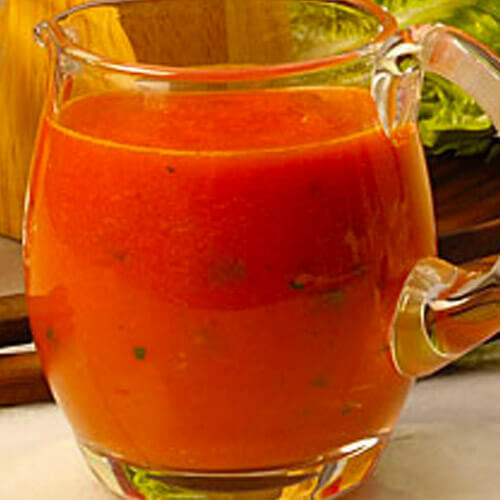 Combine tomato, red pepper, vinegar, TABASCO® Garlic Sauce, sugar and salt in food processor or blender; purée. With machine running, slowly add oil until well blended. Stir in basil.